Want to see what events are happening at the Music Center? Listings by category are below, or you can go to our Complete Concert Calendar. 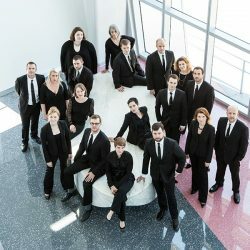 Described as “brilliant,” “powerful,” “innovative,” “dazzling” and “gripping,” when it debuted at #4 on Billboard’s Traditional Classical Chart, Considering Matthew Shepard, showcases the Grammy Award-winning artistry of Conspirare’s singers performing a concert-length fusion oratorio with song, chamber instrumentation and projected media. Led by artistic director and composer Craig Hella Johnson, this work is a musical response to the tragic death that sparked a revolution in our understanding of hate crime legislation. 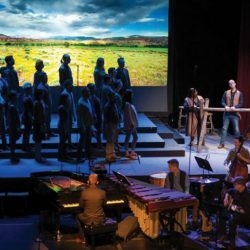 Jason Marsden, executive director of the Matthew Shepard Foundation, calls it “the most intricate, beautiful and unyielding artistic response to this notorious anti-gay hate crime.” This performance marks the return of Conspirare to Sauder Concert Hall, where this work was originally recorded. 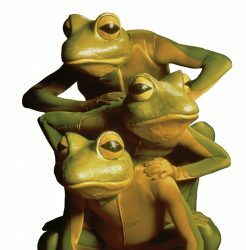 Internationally acclaimed for its special brand of vaudeville, comedy, illusions and Cirque Du Soleil-evoking acrobatics, Portland-based Imago Theatre is bringing their classic favorite FROGZ! to Goshen’s Umble Center for two performances. FROGZ! combines mime, dance, original music and special effects to create a menagerie like no other — frogs, lizards, windbags, cowboys, sloths and penguins fill the stage with wit, wonder and mesmerizing Felliniesque mayhem. Imago’s wordless productions are hailed by critics and audiences worldwide. The New York Times declares “Theatre like this opens the eyes to the possibilities of exploration in the vast realm of the imagination. Inspired fun!” Sophisticated, universally appealing and highly entertaining, FROGZ! has fans of all ages returning again and again. 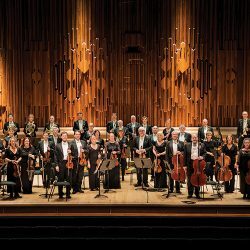 The Academy of St. Martin in the Fields — formed by Sir Neville Marriner in 1958 from a group of leading London musicians — is one of the world’s greatest chamber orchestras, renowned for fresh, brilliant interpretations of the world’s greatest classical music. 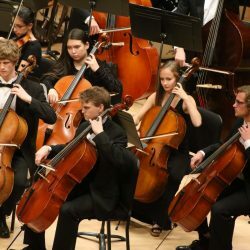 Today, the Academy is led by music director and virtuoso violinist Joshua Bell, and retains the collegiate spirit and flexibility of the original small, conductor-less ensemble which has become an Academy hallmark. This tour marks the celebration of the orchestra’s 60th anniversary and will feature Jeremy Denk, a MacArthur ‘Genius’ and one of America’s foremost pianists, performing Mozart Piano Concerto No 12. 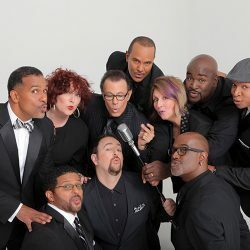 The Summit: The Manhattan Transfer meets Take 6 is one of the most unique and thrilling musical collaborations ever assembled. With twenty Grammy Awards between them, these two musically iconic groups have joined forces to perform together. Unlike other music co-bills or meetings, The Manhattan Transfer and Take 6 were not content to sing a set and simply join each other for a finale. 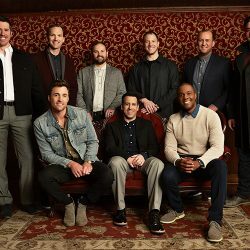 They have created musical moments on-stage – singing and performing nearly a dozen songs together – during this show. You will experience the creativity, excitement, and renowned performances that only two phenomenal groups can bring to one stage, in-the-moment. 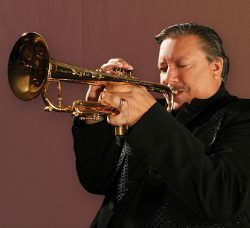 A protégé of the legendary jazz master Dizzy Gillespie, Cuban-American jazz trumpeter, pianist and composer Arturo Sandoval has evolved into one of the world’s most acknowledged guardians of jazz trumpet and flugelhorn. This Latin jazz pioneer and 10-time Grammy Award-winner delivers dynamic and vivacious live performances with his sextet, captivating audiences with his lyrical improvisation and virtuoso capabilities. In addition to his 19 Grammy nominations, he has received six Billboard Awards as well as an Emmy Award for his underscore composition for the HBO movie based on his life, “For Love or Country,” in which Andy Garcia portrays Sandoval. 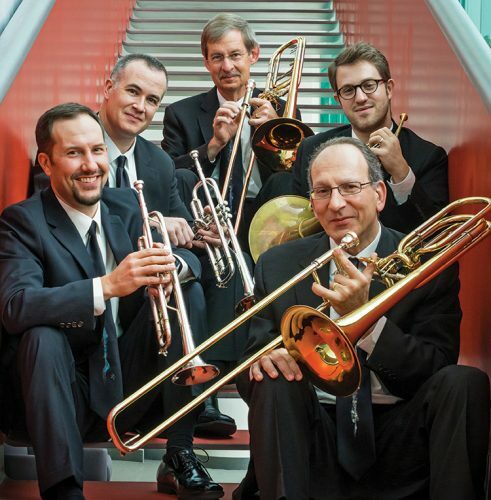 The Donald Sinta Quartet, Gold Medal winners at the Fischoff Competition, has earned praise from audiences and critics alike for its virtuosic performances, compelling recordings and distinctive repertoire. 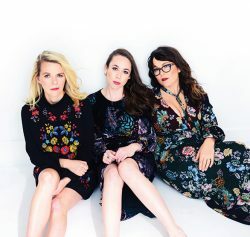 Hailed as “…a tight-knit ensemble exploding with power and virtuosity and an un- concealable ambition to connect with its newly found listeners” (Boston Musical Intelligencer), the DSQ performs entirely from memory, which strengthens an already palpable connection with its audiences. 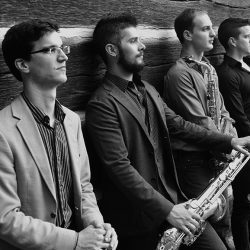 Named for its mentor, legendary University of Michigan Saxophone Professor Donald Sinta, the quartet’s competition successes include, 1st prize in the Concert Artists Guild Competition, 1st Prize at the 2017 M-Prize Chamber Arts Competition, the Grand Prize and 1st Place of the Coleman Chamber Competition, and 1st Prize in the North American Saxophone Alliance Quartet Competition. Celebrating its 20th anniversary, the EUCLID QUARTET is comprised of members from four continents: violinists Jameson Cooper (Great Britain) and Brendan Shea (United States), violist Luis Enrique Vargas (Venezuela), and cellist Jacqueline Choi (South Korea). 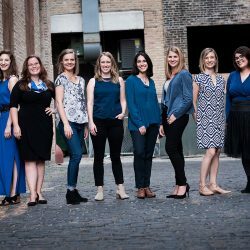 Formed in Ohio in 1998, The ensemble was awarded the String Quartet Fellowship at the Aspen Music Festival and was invited to study with the Emerson String Quartet at the Carnegie Hall Professional Training Workshop. 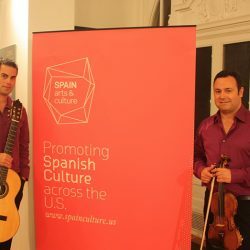 The Euclid Quartet won numerous international awards including the Osaka, Hugo Kauder, Carmel and the Chamber Music Yellow Springs Competitions. In 2009, the Euclid Quartet was awarded the esteemed “American Masterpieces” grant from the National Endowment for the Arts. 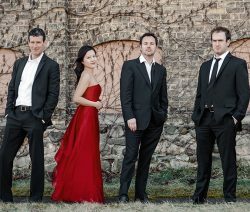 In 2007, the Euclid Quartet was appointed to the prestigious string quartet residency at Indiana University South Bend. 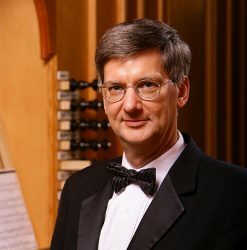 Craig Cramer is Professor of Organ and artist in residence at the University of Notre Dame. One of the most traveled organists of his generation, Cramer maintains an active recital career across the United States, Canada and in Europe, on some of the most important historic organs in the world. This fall he will be performing in China for the first time. Cramer was instrumental in the installation of several new organs by Paul Fritts on the campus of the University of Notre Dame. Widely recognized as a pedagogue, the University of Notre Dame recently recognized Cramer with a Kaneb distinguished faculty teaching award. Gail Archer is an international concert organist, recording artist, choral conductor and lecturer who draws attention to composer anniversaries or musical themes with her annual recital series. 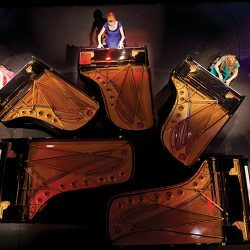 Ms. Archer was the first American woman to play the complete works of Olivier Messiaen for the centennial of the composer’s birth in 2008; Time Out New York recognized the Messiaen cycle as “Best of 2008” of classical music and opera. 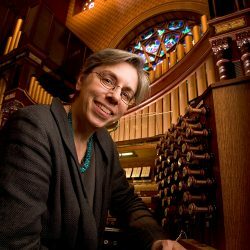 is college organist at Vassar College, and director of the music program at Barnard College, Columbia University, where she conducts the Barnard- Columbia Chorus. She serves as director of the artist and young organ artist recitals at historic Central Synagogue, New York City. Returning to Goshen for a third time, Norwegian bass-baritone Njål Sparbo is one of Norway’s most active and versatile singers, with an exceptionally broad repertoire of song, oratorio and opera. He has been awarded the Kirsten Flagstad Prize, the Ingrid Bjoner Prize, and the Grieg Prize for his contribution to renew the musical interpretation tradition of Grieg’s songs. 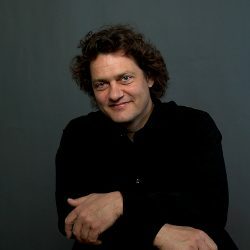 Norwegian pianist Einar Røttingen has performed extensively in major cities in Europe, USA, Japan and China, and is a regular guest at the Bergen International Festival and Edvard Grieg Museum concert series. He has been awarded the City of Bergen Cultural Prize and The Bergen International Festival’s Robert Levin Festival Prize. 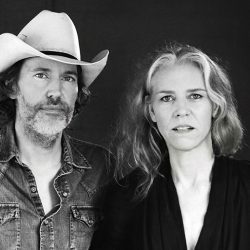 Sparbo and Røttingen will be joined by other guests to feature magnificent vocal and chamber works by Edvard Grieg and other Norwegian composers. Part of Goshen College’s 2018 Homecoming activities, the Homecoming Music Gala is your first opportunity to hear the Goshen College ensembles. Performing will be the Goshen College Chamber Choir and Women’s World Music Choir, directed by Debra Detwiler; Men’s Chorus, directed by Joshua Boggs; and the Symphony Orchestra, conducted by José Rocha. 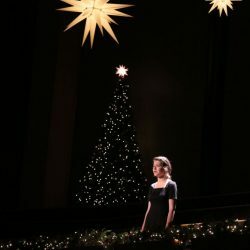 Described by Gramophone Magazine as a pianist with a “strong lyrical bent and feeling for nuance,” Kate Boyd has performed solo recitals at Weill Hall at Carnegie Hall, Schubert’s birth house in Vienna, the National Concert Hall in Dublin, the Musikhalle Hamburg, in addition to many places throughout the US and Canada. Recent concerts and conferences have taken her to Germany, England, Canada, Malaysia, Florida,California, Idaho, Minnesota, Ohio, Illinois, Wisconsin, New York, Michigan and Greece. Boyd has received numerous awards and prizes, including 2016-17 Outstanding Professor of the Year, an Indiana Arts Commission Grant and a Creative Renewal Fellowship from the Arts Council of Indianapolis, an award funded by the Lilly Foundation for creative artists of all disciplines. 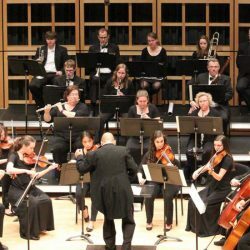 Other awards and prizes include a Fulbright scholarship and fellowships at the Tanglewood Center, Blossom Music Center, the Banff Centre for the Arts, and Prussia Cove (England). Boyd received her Bachelor of Music from Oberlin Conservatory, under the tutelage of Russian pianist Sedmara Rutstein; her Master of Music and Doctor of Musical Arts from Stony Brook University, where she studied with renowned pianist and pedagogue Gilbert Kalish; and a Diploma from the Hannover (Germany) Academy of Music,where she studied with Israeli master teacher Arie Vardi. She also studied with Estonian pianist Arbo Valdma at the Cologne (Germany) Academy of Music, under the auspices of a Fulbright Grant. In addition to her major teachers, she received extensive coachings and attended residential masterclasses with Leon Fleisher, Peter Serkin, Gyorgy Sebok, John Perry, Reinbert DeLeeuw, and Ronald Copes, among others. 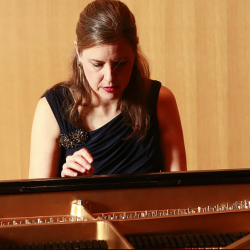 Kate Boyd currently serves as Professor of Piano and Piano Area Coordinator at Butler University, in Indianapolis, Indiana, where she was recently promoted to rank of Full Professor. In the summers she is on the faculty of the internationally-renowned Interlochen Arts Camp in northern Michigan. Formerly, she was on the faculty of Heidelberg University, in Tiffin, Ohio, and for ten summers taught at Kinhaven Music School, in Weston, Vermont. 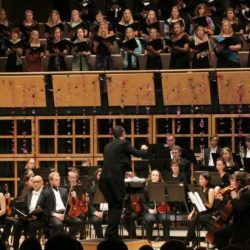 Goshen College’s choral and instrumental ensembles will join together for an unforgettable concert in Sauder Concert Hall! 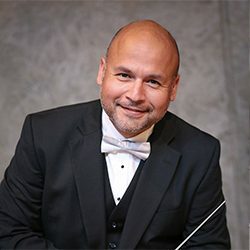 Performing will be the Goshen College Chamber Choir, directed by Debra Detwiler, with the Goshen College Symphony Orchestra, under the baton of José Rocha. 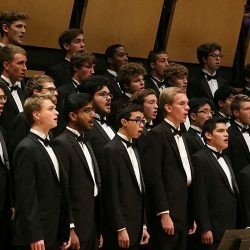 The Goshen College Men’s Chorus, directed by Joshua Boggs, will participate along with invited area men’s choral ensembles in a one day festival for men’s voices, culminating in an evening concert in Sauder Concert Hall. 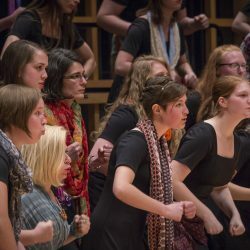 The performance will feature the Goshen College Women’s World Music Choir, directed by Debra Detwiler. 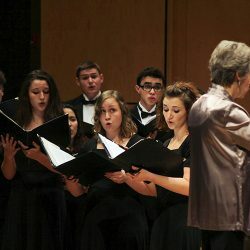 The Goshen College Choirs will present their annual Winter Choral Concert in Sauder Concert Hall. Performing are the Goshen College Chamber Choir and Women’s World Music Choir, directed by Debra Detwiler, and the Goshen College Men’s Chorus, directed by Joshua Boggs. 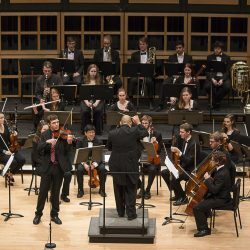 Student winners of the 2018-19 Goshen College Concerto-Aria Competition will perform with the GC Symphony Orchestra, conducted by José Rocha. Joshua Boggs, countertenor and Goshen College visiting instructor of choral music, will present a vocal recital in Rieth Recital Hall with collaborative pianist Mariah Boucher. 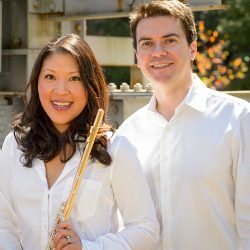 Boggs’ & Boucher’s program will feature songs by Purcell, Pergolesi, Handel, Blow, Finzi, Craig Hella Johnson, and more. Goshen College senior music major and percussionist Tyrus Tucker will present his senior percussion recital in Rieth Recital Hall. The recital will feature works for timpani, marimba, vibraphone, and multi-percussion setups, with guest performers José Rocha, cello & Janell Preheim, violin. A reception will follow in the Music Center lobby. 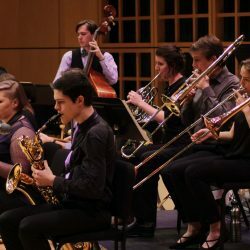 Lavender Jazz, Goshen College’s big band jazz ensemble, will present a free solo concert in Rieth Recital Hall on Saturday, March 30 at 7:30 p.m. The concert will feature big band charts and works for small jazz combo. Lavender Jazz is directed by Christopher French. Goshen College senior music major and violist Roxy Gehring will present her Senior Viola Recital in Rieth Recital Hall. She is accompanied by Krysta Hawkley, piano.